The race ends at noon EST on Tuesday, May 8! 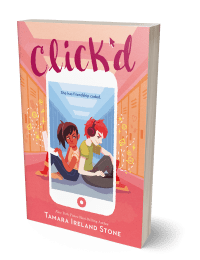 Welcome to my stop on the YAmazing Race with MGnificent prizes, a blog hop featuring over 50 debut authors, and prize packs that include ARCs, gift certificates, swag, and more! If you haven’t yet been to the Apocalypsies website, please click here to start from the beginning and read the complete rules. At this stop, you’re going to learn a little bit about my time travel romance, TIME BETWEEN US. Anna and Bennett were never supposed to meet: she lives in 1995 Chicago and he lives in 2012 San Francisco. But Bennett’s unique ability to travel through time and space brings him into Anna’s life, and with him, a new world of adventure and possibility. As their relationship deepens, they face the reality that time might knock Bennett back where he belongs, even as a devastating crisis throws everything they believe into question. Against a ticking clock, Anna and Bennett are forced to ask themselves how far they can push the bounds of fate — and what consequences they can bear in order to stay together. Commit a few of those details to memory, because you’ll need at least TWO facts above to answer the quiz ahead. And remember, you must complete ALL FIVE quizzes to be eligible for a prize pack. What’s that? You want to win more stuff? Well, okay! I’ll also give away a signed ARC of TIME BETWEEN US at the end of the race! If you could time travel — to any destination in the world at any time — where and when would you go? That’s it. You can also tell me why if you want to (I love hearing travel stories), but it’s cool if you want to keep it to yourself. I respect the privacy of all time travelers and time traveler wannabes. All four = four entries = more chances to win an ARC. Oh, and a signed bookmark. I might get carried away and throw in another surprise, too (I like surprises). This contest is open internationally, and I’ll announce the winner on Wednesday, May 9 after the YAmazing Race victors are crowned. Thanks for hanging out with me! It was fun to have you here. Click below to go to the next stop on the race! I have to tell you guys, reading these comments has been the highlight of my whole week. Thank you so much for sharing your time travel destinations and stories with me. I’m been laughing out loud, nodding in agreement, tearing up, and everything in between. You’re all amazing. THANK YOU! I’d love to travel to the US around the ’20. Would love to see it back then! If I could time travel, I’d probably pick Renaissance Italy because I’d have loved to see people’s knowledge change dramatically. Or, I’d travel to Victorian England because Jane Austen has made me think that the time period is just full of chivalrous hot guys :) Thanks for the giveaway. If I could time travel to any destination in the world at any time, I would go to Germany just before the Holocaust and find some way to prevent the atrocities that were committed/save lives. Thanks for writing this book and for the giveaway! I would travel back only a few years to the time when JK Rowling was writing Harry Potter. Just to see her process! I would be the creeper in the cafe watching over her shoulder. I would travel to meet my Mom when she was a kid. I think we would have really hit it off. : ) I liked you on facebook as The Colorful Classroom. Thanks for the chance! I would also love to visit the medieval period, and possible see all the legends in action. Though I would have issues with the health, sanatation, papacy, etc. But still just to actually view an actual Crusade Battle or even a tournament would be amazing. One Last thing I can think of would be to go back to see my parent’s wedding day, and their first meeting. There is just something so magical about seeing everything unfold. Thanks so much for the extra giveaway. I can’t wait to read your book! I’ve added it on Goodreads and follow you on Twitter (@michelle_etc). I would travel to the future to see what becomes of the world. Liked your FB Page (Petra Poet), Following on twitter (@safaripoet) and added TBU on Goodreads a while back (Petra (Safari Poet)). I would travel to the distant past when the world was completely different, including dinosaurs and such. That is, as long as I could return to now. I did all four! I am @PWDDragon on twitter! I would travel to probably 19th century Canada that way I can ride horses everywhere because everyone would be riding horses!! If I could travel in time, I’d want to go to the year 2090, to a popular city in the United States. My hope is that by then we’ll be traveling space and it will be affordable for citizens to go to space or to the moon. I wouldn’t want to stay there, but just long enough for a trip or two :). I follow you everywhere, I’m seriously stalking Time Between Us! I would most certainly want to travel to Italy during the Renaissce period. I would love to see all the great artists during that time at work. Hmm. That’s a hard one for me. Every age and time has its good and bad things. I guess maybe to Regency England or to Colorado during it’s settlement times. I would want to see the day I died, just out of morbid curiosity! Thanks for the giveaway! Can’t wait to read Time Between Us! I would travel back to July 19th, 1991. That’s the day I was born and I would love to see what that day was like for my parents, my sister and my grandparents. My parents will tell me if I ask, but being there would be so much better! I’d travel to Paris during 1888/89 to see the constuction and opening of the Eiffel Tower. I’ve always loved it, ever since I was a child and to have been able to witness it’s construction would have been amazing! Thanks for taking part in the race and for this giveaway! I’d like to visit 1800s England because the history was very interesting. I would love to go back in time to Venice during the Renaissance! Thank you for being part of the Yamazing Race! Good luck to all who enter! If I could time travel I would go to the 1950s, because I love the fashions and the big families and just the overall feel of the 50s! 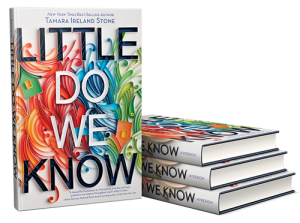 I liked you on facebook and added the book to goodreads. Thanks for the giveaway! If I could, I’d like to travel to the future and see how much things have changed in my country, Malaysia. Maybe about 150 years in the future? I would go to Tudor England. If I could travel back in time, I would love to check out Florence in the time of the Renaissance. I am a total art history nerd and would LOVE to meet all those amazing painters! Plus, I would kill to find out all the secrets of the Mona Lisa! I’d like to travel back to medieval times – because on the off chance Camelot was real I’d like to go there. I would want to travel back to when the Oregon Trail was going on. I always thought it would be cool to travel in the covered wagons, even with the hardships. If I could travel back I’d drop myself in Lake Leelanau Michigan beside an overturned sailboat just before sunset on July seventh 1977. There, I’d save my cousin from drowning, a tragedy that changed the dynamics of my entire family. I can only wonder how different some people might be today had that event turned out differently. I would time travel back to when I started having anxiety attacks and stop them from ever happening. i think that woudl change so much in my life. I’d love to spend a day during either Michelangelo or Bernini’s lifetime (whenever they were creating their best works). I’d say a specific date/person, but it’s too hard to choose! It’d be great to meet either of them and see their work being created. There are soooo many times and places I would go! Top of the list would be Victorian London/England. I would also like to go to Egypt sometime while the Pharaohs were still around. Oh and Pompeii just before Mt Versuvius erupted. I don’t actually have a certain time period I’d like to go to, but I do have a place where I would. I’d like to go to New York, maybe a few years back, because the skyline there just looks so beautiful. I would go back to the first world fair, because it just sounds so amazing! A WORLD FAIR! I liked you on Facebook and added your book to my Goodreads to-read! America circa 1930-1940s. More specifically Missouri. That would have been right around the time my grandparents met and were in high school. I think it would be cool to see what their life was like back in the day. By the way, they met at a soda shop! A soda shop with a soda jerk! It’s classic, I tell ya. If you had asked me a year ago, I would have said London in the early 1970’s so I could have seen it as my mom saw it. But, since my mom passed away three months ago on monday, I’d like to go back to Christmas 2011 and take more pictures and get more of her talking on video. Sappy I know, but it’s me. Thanks for hosting a stop on the race! Well I’m obsesses with medieval England, so I guess there. However, it’s a pretty dangerous place so can I have an invisibility cloak too? I realize that sounds mad. I realize no one in their right mind should want to return to that time and that place. But every year in religious school I learn about the Holocaust, all the atrocities, the millions dead. And I always wish I could do something. Maybe I couldn’t have made a big difference, but I’ve always wished I could have done SOMETHING. Saved one of those 13 million. I would travel to 1960 Sigourney, IA, any day, so I could meet my Grandpa Al. Bonus-I’d get to see my dad at 4 years old. Hmmm….I would like to go to the Victorian times but as a rich person because they had some really fancy dresses! Thanks so much for the giveaway! Time Between Us sounds very interesting! So I’m choosing Rome during the first century instead to see which of the stories that are left were actually true. So many possibilities! I think I’d choose like medieval England or someplace similar, just to see what it was like. I’m sure I’d want to leave after a little while though, haha. I follow you on Twitter (@BookishComforts) and Time Between Us is on my Goodreads shelf under the name Rachelia (Bookish Comforts). Can I travel to a fictional place and time? If so, I’d travel to the Avatarverse (you know, Avatar: The Last Airbender?). Please give me Bending powers. I’m just so hyped up on ATLA right now that that has to be my answer. Thanks for the giveaway! I think I need a break from this marathon for now… I’m just…going to take a break here. This place is pretty comfy. Can we have translation software, too? Because otherwise most of the places I’d want to travel communication would be a challenge! I’d like to travel back to Alexandria during the 1st century BCE. I have always thought it sounded like such a fascinatingly diverse place and time, and I’d love to experience the Library of Alexandria for myself (I’d bring along my Greek & Latin dictionaries so I could even read some of the books! This had better be a TARDIS-like time machine so I can have plenty of room to pack!). And if I got there during Cleopatra’s reign, so much the better; I have always wanted to know what her Egyptian subjects thought of her (we only have the Roman POV, and a limited one at that). If i went back in time id want the time travel to be worth while so id go realy far back in time, like to the very start of the world to see what it was realy like. Time Between Us sounds amazing! Thanks for the giveaway!! I’d probably go to the Tudor period, I’m fascinated by it! I’d travel back to the 60’s so I could go on a date with Fonzie. Swoon. Thank you so much for this amazing giveaway Tamara =) !! Time Between Us sounds amazing and I absolutely love this cover !!! If I could go back in time to any place I’d choose either Scotland or Ireland and the XVth century because that’s a time period I’m very interested in and I love these 2 countries !!! I hope the giveaway is international because I live in France and I’d love to win an ARC of your book, a signed bookmark, and a surprise (I love surprises !!!) !! I would go back to June 2010, when I started as a first year high school student. I’ve down too many thing, I’m just correcting the biggest mistake of all. I would travel to the very beginning of the Earth- just to see what really went down. If I could time travel — to any destination in the world at any time — where and when would I go? I’m thinking I’d like to travel into the future. Maybe 50 or a hundred years. It’d be interesting to see how technology and politics have progressed over time. Hmmmm, well I’d like to go witness major events in history and maybe solve some of the greatest of history mysteries. Reason 1) I love history too much to just chose one time Reason 2) I don’t like it when I don’t know things. Your book looks really good by the way! I love the cover and the plot sounds interesting. If I could go back in time, I’d probably go visit my great-grandmother on her farm in Ireland when she was a kid. I’ve been back there and met the distant relative who still lives there, but I’d love to see it in the old timey days. If I could travel to when/where ever I wanted, I would go back a 1,000 years ago to marvel at the Earth’s beauty before we destroyed it. I would love to travel to Romanov Russia to see the beauty of old world Russia! This YAmazing Race is so fun! And thanks so much for the giveaway – I can’t wait to read Time Between Us! If I could travel to any time, any place, I guess I’d travel in the future to see all my future relatives that I won’t be able to meet (like my great-great-grandchildren, etc.). I would go to 1980’s LA to hang out with my father and aunts before everything went wrong for them. See how life was when they were happy, go to secret punk shows and vandalize cop cars with them, and skateboard down hills too fast. I think I would just want to get to know my father before he started doing drugs. 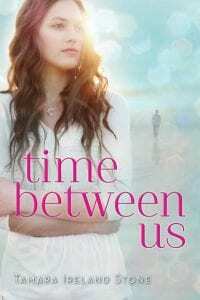 So, i liked you on fb, i’m now following on twitter, and added time between us on goodreads, yay! I think I would love to go the Ancient Greece. Why? Because I’ve being in love with it’s mythology and the way they lived that I could not think of a better place to go. I’m from Greece so If I could go to any time period, I think I would go back to Ancient Greece. I want to learn and see our history with my own eyes. I think It would be fun! Oh wow, such a hard question! There are so many events that I’m curiou about that it would be difficult to just pick one… but I’d probably be tempted to go to the future. I’m very interested in seeing how things turn out down the road, and I just have so many questions about the future! I’d probably stay somewhere in North America, too. Just because it’s familiar so I could really make a comparison. If I could travel in time, I would pick a time in the future, only because I’m so curious about how great (or horrible) life might be. I would probably stay right here in the US, but maybe go 50 years ahead. I think I’d want to travel back in time to the 20’s in either Chicago or New York. It’d be pretty fascinating I think. Now this is a hard one. I would have to say, that if I could travel anywhere in the history of space and time, I would travel to the peak of the ancient greek civilisation. The Greeks were absolutely amazing and led the world in numerous subjects such as philosophy, mathematics, sculpture, literature, etc. I would love to travel there and be a part of such a momentous time period in history. I’ve been obsessed with Victorian England for as long as I can remember – I’d like to go around London area, probably more just outside it since city life then terrifies me haha. Definitely would love to see the sprawling estates and countryside. Hard question! I think that I would go back to victorian london. I would go back to my bedroom in Indiana, March of my sophomore year of highschool, and be honest w/ my best friend about my feelings. It was the beginning of the end for a very important friendship. I seriously can’t wait to read your book!! I already have it on goodreads and I like you on facebook. Thanks! Since I’ve started watching more and more Korean historical dramas, I think it would be sweet to travel back in time to sometime during the Joseon Dynasty, seeing one of the palaces in South Korea and getting to wear a pretty hanbok. I’m a Twitter follower (@midnightbloom04) and I also have Time Between Us on my “to-read shelf” on Goodreads. I’d travel back to LA in the 90’s. I think I’d try to get on one of those 90’s sitcoms or something. Random, I know. I’d like to travel back to 10th grade. I ‘d change everything about high school. Too Personal to say. I LOVE time travel books! i want to time travel to a time when my parents were teenagers. they lived in the Philippines then. So, I’ll time travel to the Philippines in the late 1970s. I would for sure go to medieval Italy! Ever since reading the River of Time series I’ve become obssessed with that era. It seems like it’d be exciting every day! And all the knights around wouldn’t hurt any ;) Thank you for the giveaway! I would travel back to WWII and make sure to stay with Anne Frank and her family. I have always been obsessed with her story and think it’d be an amazing experience to have interacted with her. I’d time travel back to the 60’s and go to Woodstock. Marked your book to read on Goodreads and “liked” you on Facebook. If I could travel anywhere if would be Venice during the Renaissance. I’ve been wanting to see it desperately before it sinks. It would be wonderful to see if at the height of it’s magnificence. If I could go to any time period, I think I would go back to before America was colonized, and just look around at our country untainted by pollution or man made creations. I would probably time travel to the stone age, I don’t know but it just catches my interest, I want to know how life was like back in the beginning of the world. Where anyhting could happen and I could be known as the creator of FIRE! Thanks 4 the giveaway & can’t wait for the book to come out! Goodreads: Lisseth (Read-A-holicZ) added in febuary! Also liked this part …”but it’s cool if you want to keep it to yourself. I respect the privacy of all time travelers and time traveler wannabes”. I would love to travel back to inside NASA mission control and the first moon landing just to experience the excitement firsthand. I would travel back to the early 1920’s New York! Cut my hair short and wear their scandalas dresses! Yes! Woot! looks like a good book! can’t wait to read it! I would travel to Victorian England because I think the dresses are soooo pretty. Uncomfortable yes, but pretty nonetheless. If I could go back in time… I’d have to go to Troy, back when the Trojan War occurred. Im just totally fascinated with it! I would time travel back to 2003 and intercept myself to stop a very horrible mistake I made. First of all, thanks for this giveaway! I’m very eagerly awaiting the release of Time Between Us, it sounds so good! If I could travel back in time, I would travel back in time to when I let this great guy go, and I’ve regretted doing so ever since. If I could go back I would slap some sense into my younger self! I think I would like to go back to 1800’s England, Jane Austen era. Life seemed so simple and fun. Your time travel destinations are simply amazing. Thank you so much for sharing them with me. Just when one makes me laugh out loud, the next one makes my eyes well up. Keep those stories coming! Or keep them to yourself, too. Either way, thanks for playing. 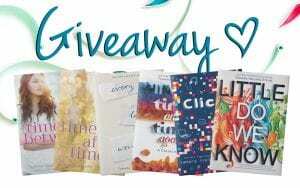 This is my first ARC giveaway, and I’m so excited to see who wins! Wow, so many choices. I think if I could travel to any time and place, it would be to victorian england. There is just something about a time period so different from ours…i would love to try it and see. 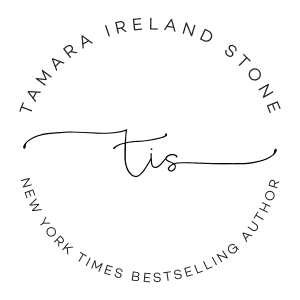 I follow you on Twitter and FB, and added you to Goodreads TBR! if i could travel anywhere in time i would love to travel back to the roarin’ 20’s in new york city : ) i think that would just be a lot of fun to experience and i’d love to wear the flapper’s outfits!! thanks for being part of the yamazing race!!! I recently lost my grandmother because of a sudden, and unexpected aneurysm. I was thinking I would have twenty more years with her, but I would settle for one more day. I follow you via Twitter @modpodgebooks and on FB as Gabrielle Carolina. Time Between Us has been on my to-read shelf for ages and I would love to host you on my blog! Please let me know if you are interested. 1920s New York… to party. If I could time travel anywhere it’d be Paris and whatever year Jo Tsonga beat Rodger Federer at the French Open in tennis. It would’ve been more fun to be there than watching it on tv! I think I’d probably want to go back to Medieval Europe! I lived in Germany for several years as a kid, and the highlights were when my family would visit medieval castles and festivals! I think I would want to go back in time to ancient Egypt. I have always been intrigued by their society! I’d go back to early 1900s maybe Ireland? or Greece? I would hands down travel to the Tudor Court. I’m a history major, and I love that time period and the dresses are sooooooooooooooo pretty. I have had your book added on Goodreads (yay) and follow you on Twitter (@shanynlee)! 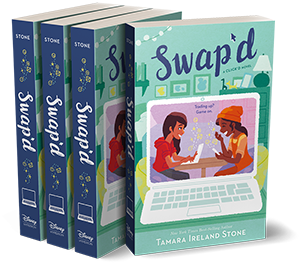 I just heard about this book a couple weeks ago and immediately added to my TBR on goodreads! Sounds amazing! There are many times and places I would love to travel, but the first one that pops into my head is the 1960’s and right here. I live in my grandfather’s home so my mom grew up in it. I have heard so many stories of what the area was like back then, it has since changed into more of a busy suburbs. I have heard stories of the newspaper boy delivering the paper on his horse and all the fields they used to play in. I would have loved to see that. Thanks for the giveaway and the YAmazing Race! It is a lot fo fun! If I could time travel I would go to the time in which the Earth became an inhabitable place for he first time. I’d want to do this to see the Earth before it became as polluted as it is today and I’d like to see the lush paradise and beaches that existed back then also I’d take a book. Now that would be awesome – reading a nice YA book about the destruction of the world millions of years before it even existed in a completely beautiful and peaceful world (at least I hope it’ll be peaceful). Hm, if I could time travel anywhere I think I might travel the the early 90s to see a real, live Jeff Buckley concert and then go visit my teenage self and give me some advice. Well, my first thought is always ‘it would be awesome to go back to Regency England!’ but then I start thinking about what that would mean. Uncomfortable, if pretty, clothing. The food. The stench. Realistically, I think I would need to go with something 20th century. Maybe the 1950s in England? That could be awesome. I want to be chilling on one of those big estates as a pampered guest. If there’s a hot son, that would be good too. If I could time travel to any destination in the world at any time where and when would I go? I would definitely go back to the time when my grandfather was still alive. Because I never really met him, because he died when my mom was only 15. My mom always said that my grandfather was a great father, and that he loved her and her siblings very much. We talk about him every once in a while when were just hanging out, and my mom would say that if my grandfather was still alive he would be living with us. I get sad when we do talk about him so I just really want to meet him and hug him and to tell him that my mom grew up to be a great person and a great mom. But…I also want to go back to the time my parents got married. I would love to witness that!!! Wait…am I allowed to have three answers??? Nevermind! I can actually can go on and on and on but that would be the first 3 on my list. I’m actually afraid to time travel to the future. Scares me.